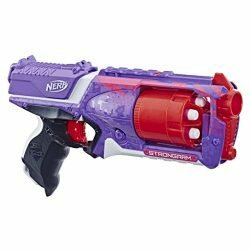 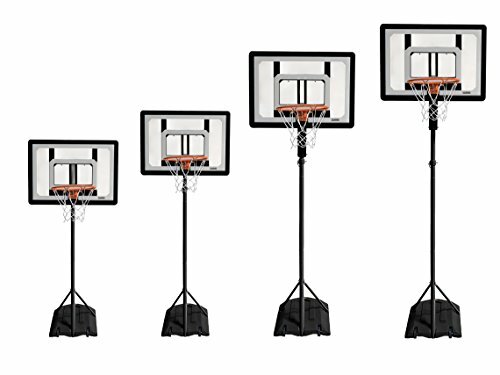 ULTRA-DURABLE AND PRO-GRADE LOOK. 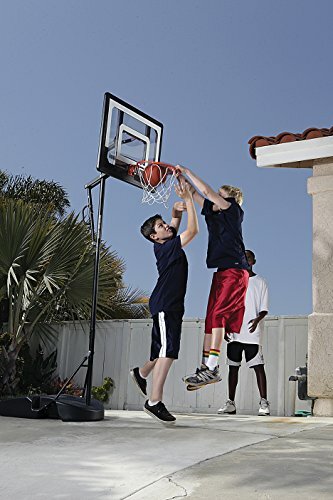 The 33″ x 23″ backboard is made of shatterproof clear polycarbonate, tough enough for the most competitive games. 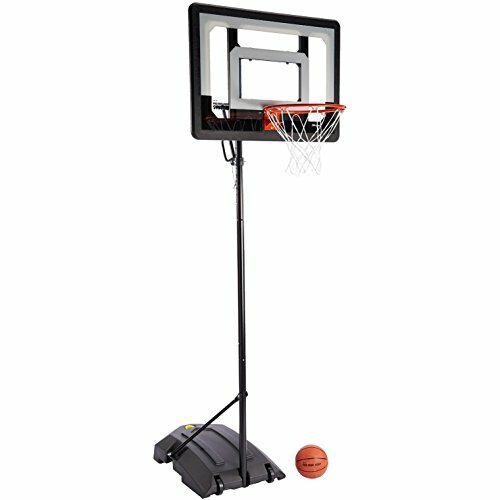 The weighted mobile base (31.6 x 20 x 6.3″) fills with sand or water for stability as you practice your shots. 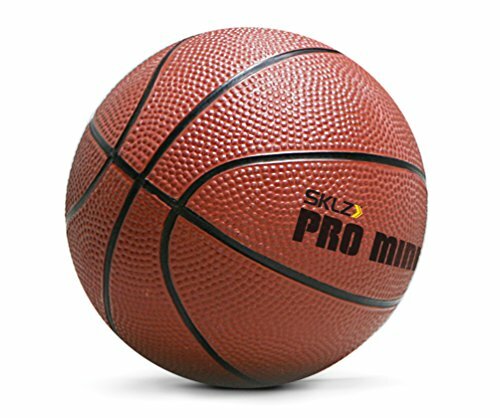 PLAY LIKE A PRO. 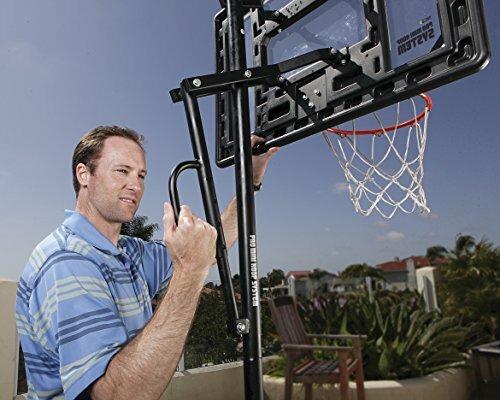 The Pro Mini Basketball Hoop System will give you an authentic basketball experience. 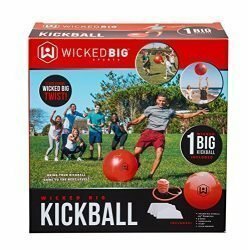 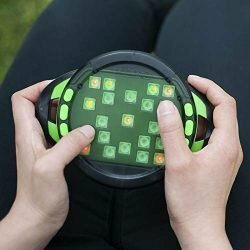 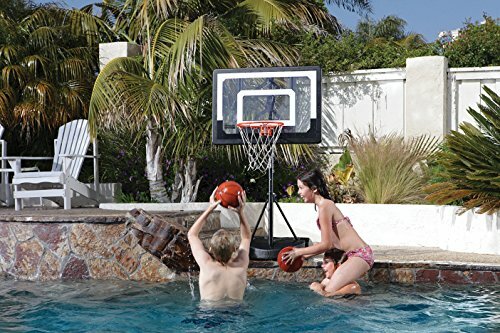 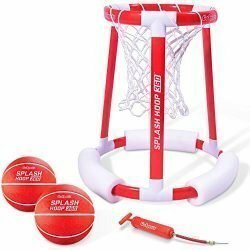 The professional-grade hoop, along with a 7″ rubber basketball will give you the game-like action you’re looking for on the home court, in the basement, or at the pool.